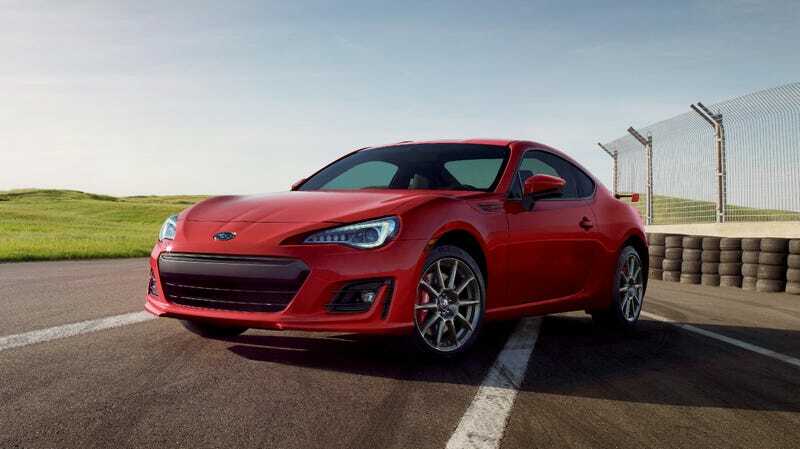 Fans of well-handling, chronically underpowered (to some) little sports coupes might have gotten a bit of a scare this week when reports came out that the next-generation Toyota 86 and Subaru BRZ may be canceled. But Subaru said everyone can chill, because it’s moving ahead with a next-gen BRZ. The roughly 200-horsepower 86 and BRZ—the Toyobaru twins, you might call them—have been a joint project by Toyota and Subaru since their introduction seven years ago. They haven’t changed all that much since, although they haven’t really needed to, and they certainly haven’t gotten a turbo. But some have wondered where the 86 fits in with the all-new (but more expensive) Toyota Supra, which even has a 194-HP four-cylinder option in some markets. Indeed, reports from earlier this week said the Toyobarus might be on the way out before their next generation gets here, thanks in part to the entry-level Supra. Japanese Nostalgic Car, citing a story Japanese outlet Best Car was “prepared to report in their upcoming February 26 issue,” wrote Tuesday that the twins would likely be no more. After we talked to Toyota yesterday about whether the 86 was going to be axed, and receiving an immediate reply that this is totally false, we thought we ought to chat with Subaru, too, and find out their plans about the BRZ. Considering that both carmakers denied the report about their cars going away, it would be safe to think that, even with the Supra out now and without Toyota specifying that it’s working on a new generation, they’d work together on any major model updates. That, however, remains to be seen—though Toyota performance boss Tetsuya Tada has said he wants more sports cars, it’s unclear whether that will mean another Subaru-Toyota team up.